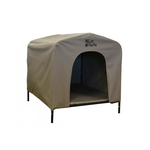 A kennel that offers protection from cold, wind and rain is an essential for every outdoor dog. 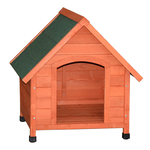 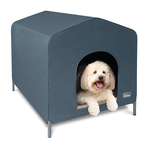 Soft sided kennels made from treated canvas are a popular option as they are lightweight and easy to keep clean. 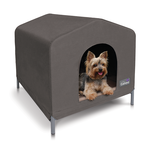 Their portable design also makes them the perfect choice to take along on your next camping trip!